“Like Kerry Katonas period; it’s better late than never! Full of summer joy and tranquility and without a hint of spleen and bitterness, Brisk & Fracus step up with episode 27 of the now truly infamous Next Generation Records Podcast. 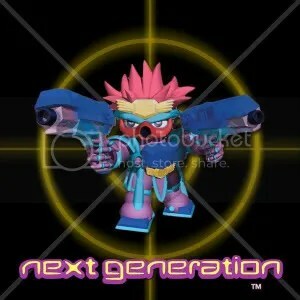 Next Generation Podcast – Episode 26 | 29.06.11. Next Generation Podcast – Episode 25 | 27.05.11. Next Generation Podcast – Episode 24 | 14.04.11. Next Generation Podcast – Episode 23 | 26.02.11. This entry was posted in DJ Mixes, Gabber, Old Skool, Podcasts and tagged Brisk, Brisk & Fracus, Chris Unknown, Fracus, Kasparov, Next Generation Podcast, Next Generation Records, Next Generation Records Podcast. Bookmark the permalink. Free Album | Firefly – Levitate | 15.08.11.